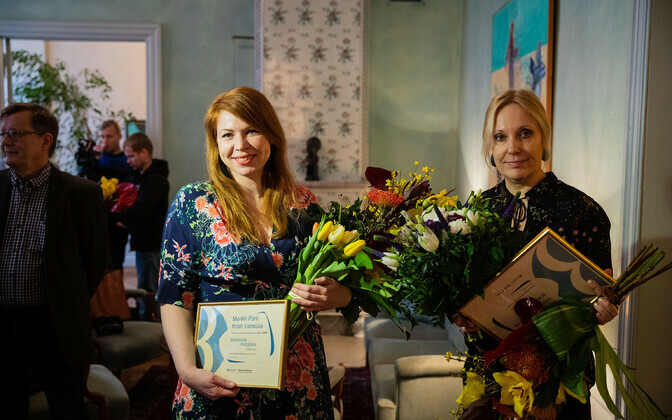 ERR journalist Merilin Pärli has been awarded this year's Bonnier Prize for investigative journalism, jointly with Eesti Ekspress journalist Kirsti Vainküla. Both journalists were awarded for their stories on a custody case involving a four-year-old boy known as Martin. The child's aunt had been granted custody of him; however, Tallinn's Mustamäe District had given the go-ahead for Martin's adoption by another family, unknown to his Aunt. In the event, it was only a scheduling issue with court hearings which meant that Martin's Aunt got custody of him, just hours before the adoption hearing was due. Pärli's stories appeared on ERR on 12 June, 20 September and 7 November 2018, with Vainküla's articles on the same topic appearing on 18 July and 26 September. 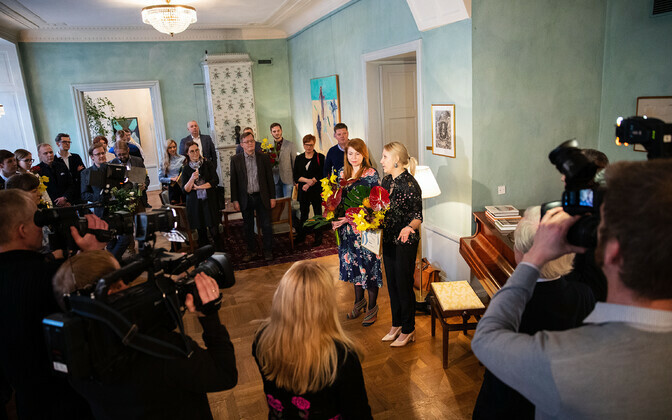 The award, including the sum of €5,000, issued by Swedish media group Bonnier, and daily Äripäev, which Bonnier owns, was presented to both journalists on Monday afternoon. Others shortlisted for the Bonnier Prize were Joosep Tiks for his Eesti Päevaleht (EPL) article on youth violence in Kanuti Gardens in central Tallinn, Mihkel Kärmas and Anna Pihl for their report on celebrity astrologist Igor Mang's sexual harrassment case, and articles in daily Postimees on Russian influence in Estonia and neighbouring states, by Holger Roonemaa. 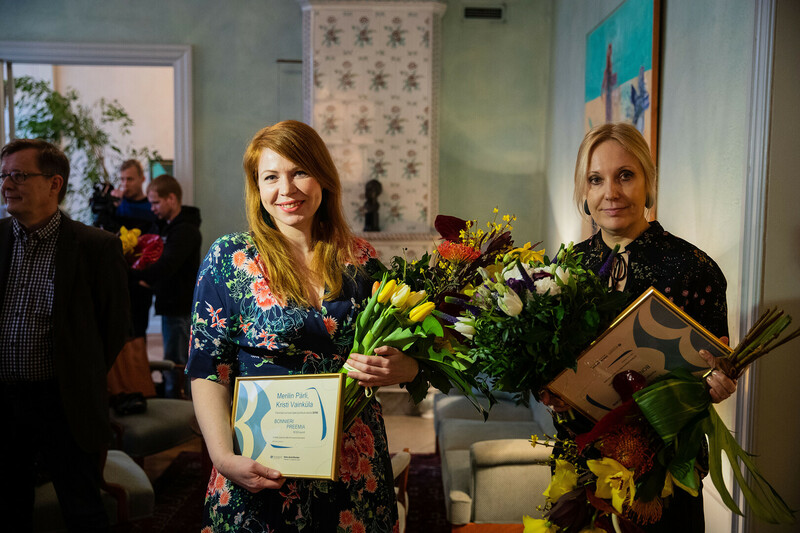 The winners were selected from 26 entries, by a panel consisting of Äripäev editor-in-chief Meelis Mandel, editor-in-chief of local daily Põhjarannik Erik Kalda, EPL and Delfi editor-in-chief Urmo Soonvald, Postimees deputy editor-in-chief Aivar Reinap, ERR editor and presenter Mihkel Kärmas and chief of the newspaper association, Mart Raudsaar. A gallery of the award ceremony is below. The Bonnier Group is a Swedish family-owned company whose interests include Äripäev. 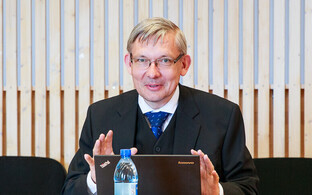 The remainder of Estonia's commercial media landscape is dominated by two groups. Ekspress Grupp, whose majority owner is Hans H. Luik, publishes daily Eesti Päevaleht, two weeklies: Eesti Ekspress and Maaleht, lifestyle magazine Kroonika, the Delfi news portal and more. Postimees Grupp, until recently Eesti Meedia, headed by Margus Linnamäe, owns daily Postimees, published in Tallinn, Tartu and Pärnu, as well as various regional newspapers, newswire BNS and various portals such as elu24.ee, as well as commercial TV channel, Kanal 2 and several radio stations and media outlets in Lithuania. Daily Õhtuleht is co-owned by the two groups. ERR is the national public broadcaster, operating news portals in Estonian, Russian and English, three TV channels and five radio stations.